I have to confess that I was only interested in Henry James and Toni Morrison's novels so I only read the chapters that are related to these two novelists. I am going to focus specifically on James' The Turn of The Screw since I read this novella recently. So, Pifer claims that the governess's reaction upon recognising the sexual interests in the children is normal within the Victorian society. It is normal in the way that children are seen as innocents and so on. Yet, his claim contradicts the events in the novella. I mean I know that this novella was controversial within the Victorian society because it depicts this corrupted image of children. Yet, if this claim was true, why would the governess's first reaction upon receiving the dismissal letter from Miles's school is that he had 'corrupted his little innocent mates'? This reaction was WAAAAY before the appearance of ghosts and her paranoiac assumption that the children were 'corrupted' by the ghosts. 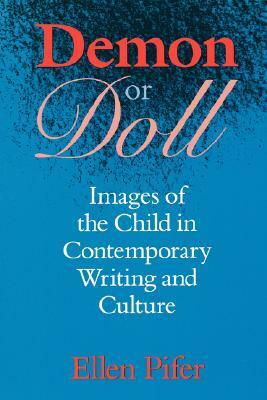 Also, the book promises us to discuss 'contemporary writing and culture'. Yet, the book discusses novels from the late 19th century. This is a bit strange because 19th century is defiantly not contemporary.